a researcher, a company executive. Sachiko earned her Ph.D. in biochemical engineering from Kyoto University, Japan and conducted post-doctoral research at the Technical University of Munich, Germany. In the mid-1980s, Sachiko joined Dr. Ryuji Ueno in establishing R-Tech Ueno Ltd. in Japan. Sachiko engaged herself in all development research, including basic research and applied research, a production, and an application for approval, and the successful launch of Rescula® eye drops, the first bioactive lipid ever used to treat glaucoma, in Japan. Leveraging R-Tech’s success in Japan, the two moved to Bethesda, MD and established Sucampo Group, an affiliation of companies in the Americas, Asia and Europe. Sachiko was Sucampo Group’s founding CEO and Chair of the Board, and served there until 2012. During her time at Sucampo, Sachiko conducted the research and development, and the operation of the company, and the successful launch of Drs.’ Second product AMITIZA® for the treatment of chronic idiopathic constipation in adults, irritable bowel syndrome with constipation and opioid-induced constipation in adults. Sucampo, which acquired R-Tech Ueno in 2015, is listed and traded on NASDAQ. In 2012, Sachiko co-founded VLP Therapeutics, LLC to combat the 21st century global public health problems through revolutionary i-αVLP Technology. As a social entrepreneur, Sachiko co-founded S&R Foundation in Washington, D.C., in 2000 where she has been serving as the CEO and President. Sachiko also serves as a board member of Johns Hopkins Medicine, Maureen and Mike Mansfield Foundation and Strathmore Hall Foundation, and as the Advisory Board on THIS for Diplomats at Meridian International Center. 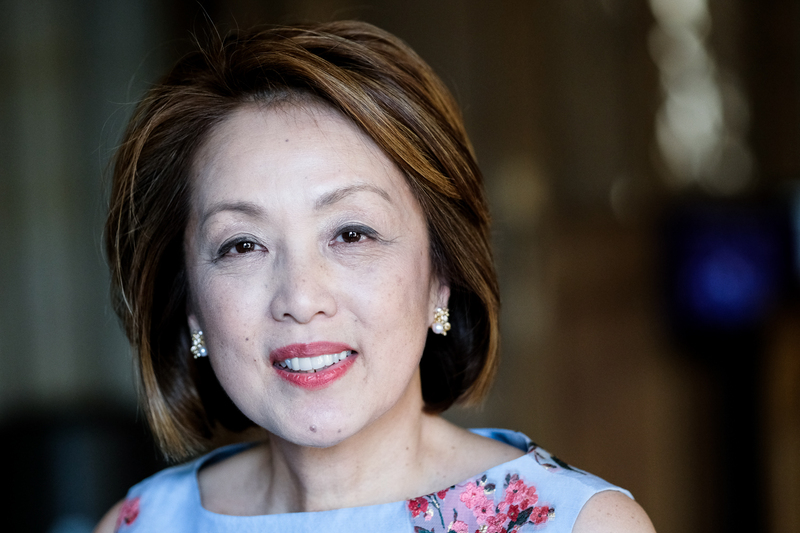 Sachiko has received a number of awards over the years, including the Ernst and Young Entrepreneur of the Year Award for the Greater Washington Area in the Life Sciences Category (2007), recognition as one of the 25 “Women Who Mean Business” by The Washington Business Journal (2009). In 2015, she was awarded the Citizens Association Georgetown’s William A. Cochran Award, and recognized in Forbes magazine in both the U.S. and Japan as one of “America’s Richest Self-Made Women.” She has completed certificate coursework in international business management at Georgetown University in Washington, DC.